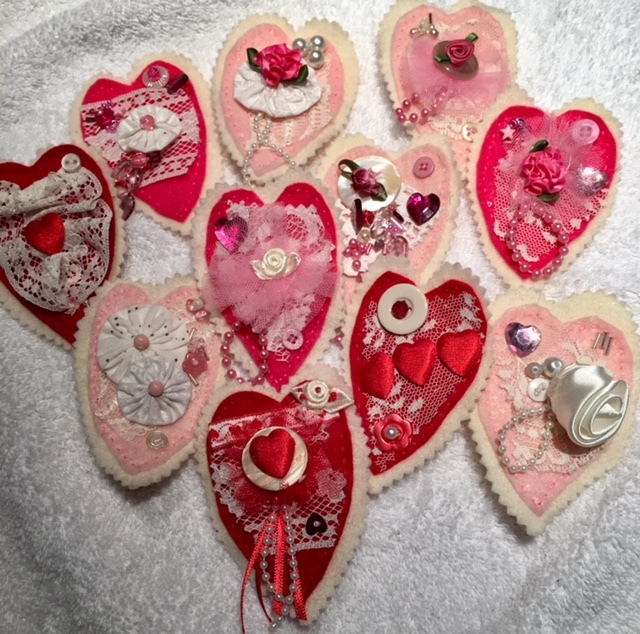 I saw some fun little Valentines brooches the other day while surfing for hand stitching ideas that I could do with Miss C.
I came across heart shaped felt with scraps of lace, ribbon, buttons and beads. "Perfect" I thought. ...... and she wanted to make 11 for all her bff's. Then we decided to make some more Valentines gifts for friends that her brother could make as well. 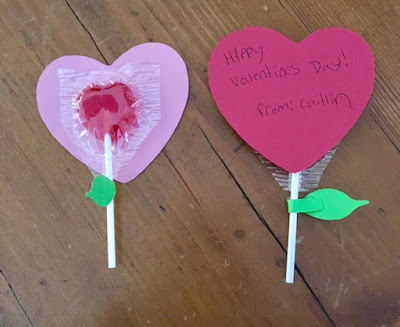 I bought some lollypops from the bulk food store, trimmed away some of the plastic and affixed them to card stock that I cut using my Scan 'n Cut. The kids has already printed their Valentines wish on the other side. Lastly we added a bit of green in the shape of a leaf. 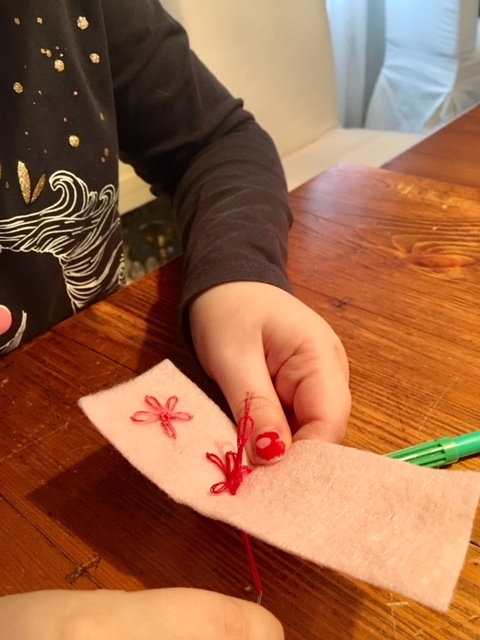 Since there was a lot crafty items on the dining table when we were done, Miss C wanted to try her hand at embroidery....so she made a bookmark! They are perfection and so much more so for the joint effort.